This years Mother’s Day range has felt particularly colourful and uplifting. But the product that caught my eye the most out of the entire range was the very vivid Your Mother should know Bubble Bar! 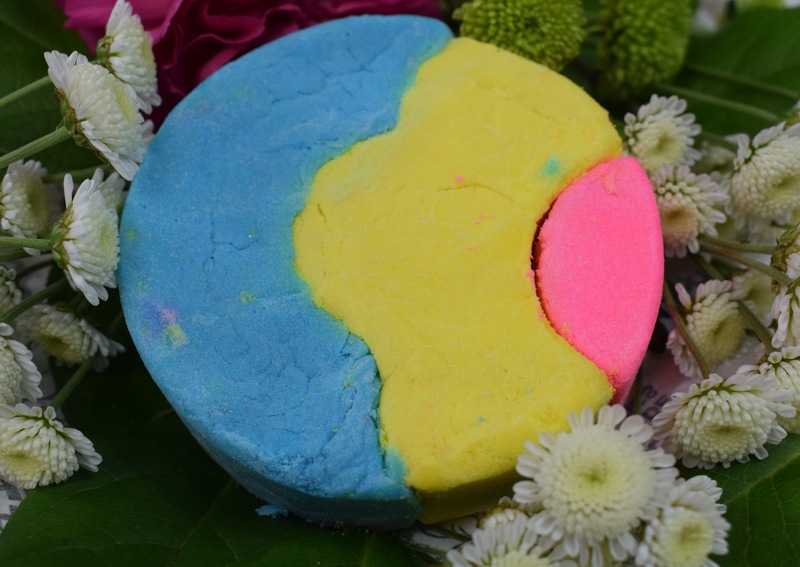 The bubble bar is in the design of a flower made from a mixture of bright blue, yellow and pink. The colours really are beautiful and they instantly make you feel happy and wash away all the drab cold feeling of winter which still seems to be lurking. 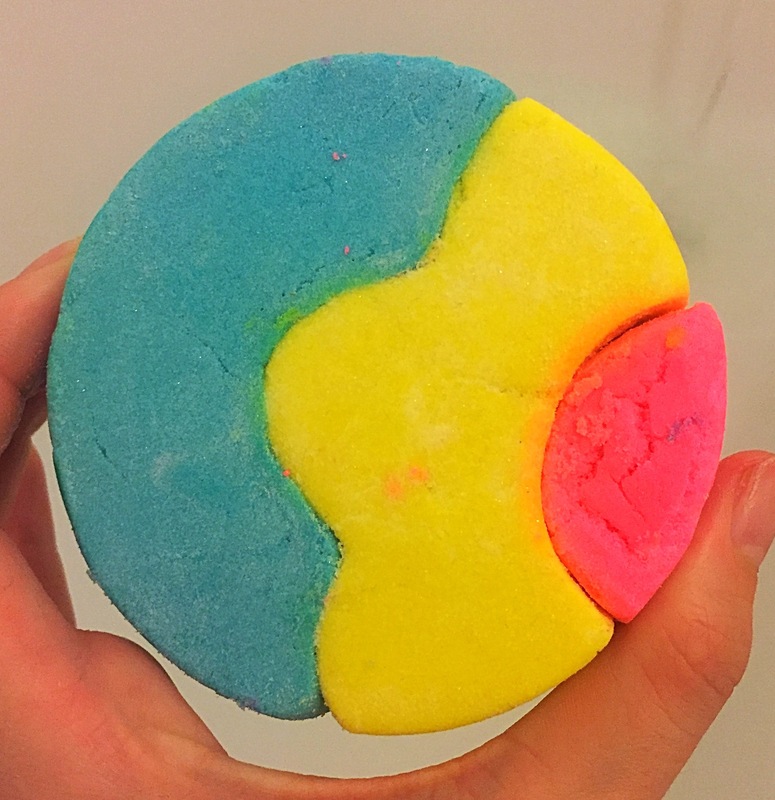 If the design of this bubble bar didn’t win you over I’m sure it’s scent defiantly will. Containing rosewood, grapefruit, neroli and rose this bubble bar has a beautiful sweet floral scent which is very uplifting. 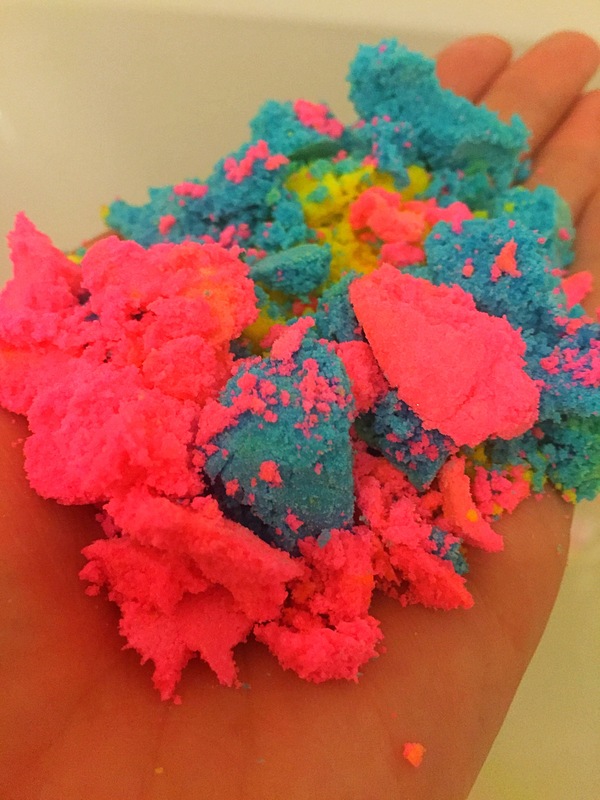 The scent is very similar to that of the Frozen bath bomb and it will help to lift your spirits and let you unwind from the stresses of life. Size wise I think you could easily get 3-4 baths out of this product. Once crumbled under running water it produces mountain of soft bubbles and turns the water a lovely bright shade. The scent really lifts once mixed with warm water to help create its uplifting aroma. Although not particularly moisturising the bubble bar still left my skin feeling soft and a subtle scent was left on my skin. If your looking for a lovely gift for Mother’s Day I highly recommend this bubble bar. It’s bright colourful design and sweet floral scent makes it perfect for the warmer spring weather and it is sure to make anyone who uses it feel relaxed and de stressed. INGREDIENTS: Sodium Bicarbonate, Cream of Tartar, Sodium Laureth Sulfate, Lauryl Betaine, Cornflour, Perfume, Neroli Oil, Grapefruit Oil, Orange Flower Absolute, Rosewood Oil, Rose Oil, Limonene, Linalool, Butylphenyl Methylpropional, Citral, citronellol, Geraniol, Hydroxycitronellal, Colour 42090, Colour 45410, Colour 47005.